See My Art welcomes artists to display samples of their art on the See My Art, Inc. website and display actual artworks in the gallery at The Rivers Eatery in Cable, WI. 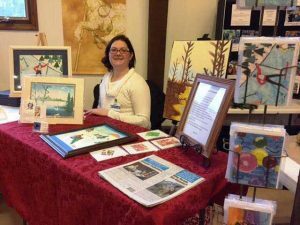 During the year, artists participate in community events to meet the public and sell their art. Anyone who has an interest in art and has a disability is welcome to join the SMART, Inc. roster of artists. E-mail us at info@seemyart.us to find out more.